Industrial biotechnology uses living cells such as bacteria, yeast, algae or components of cells like enzymes to create or modify the medicines, chemicals, materials and energy that we need. This enables us to produce everyday essentials more cheaply and more environmentally sustainably than ever before. 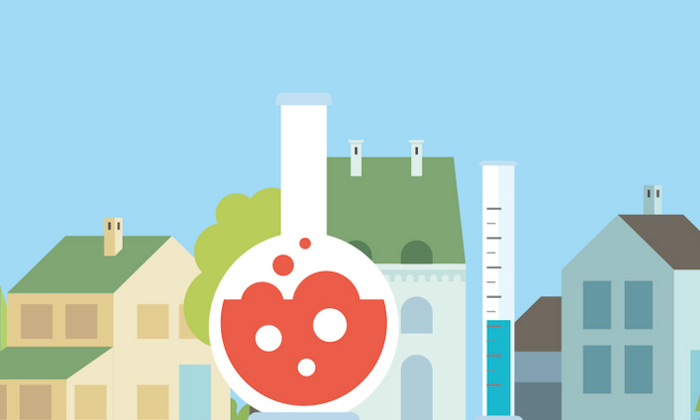 Explore our infographic to see how industrial biotechnology is already transforming your home. Propane provides heat and energy for an estimated 14 million people worldwide. Through industrial biotechnology our researchers are helping develop ways to use micro-bacterial technologies in order to enable the sustainable production of bio-propane. Our researchers are using industrial biotechnology to help develop new ways to sustainably and cheaply produce ‘natural’ flavours that currently can only be extracted in minute levels from botanicals. Vital materials used in the textile industry – dyes, tanning agents, nylon and polyester – are all produced using biochemicals. Fragrances are often sourced through the mass production of botanicals, such as flowers. Our researchers are working on more environmentally friendly ways to produce the chemical compounds needed to make products such as perfumes. In skincare, bio-based products help exfoliation and support the biological processes that have slowed down because of age or sun damage. Industrial biotechnology has allowed the development of detergents that work at temperatures as low as 30°C which helps to reduce energy consumption. Plastics are used extensively in modern homes. Using industrial biotechnology our researchers have identified a new cleaner way to produce hydrocarbons which could provide the basis for the development of new ways to manufacture chemicals and plastics. Our researchers are using industrial biotechnology to help bring down the costs of statins. These widely-used lifesaving drugs lower cholesterol levels, which reduces the risk of coronary heart disease and strokes.